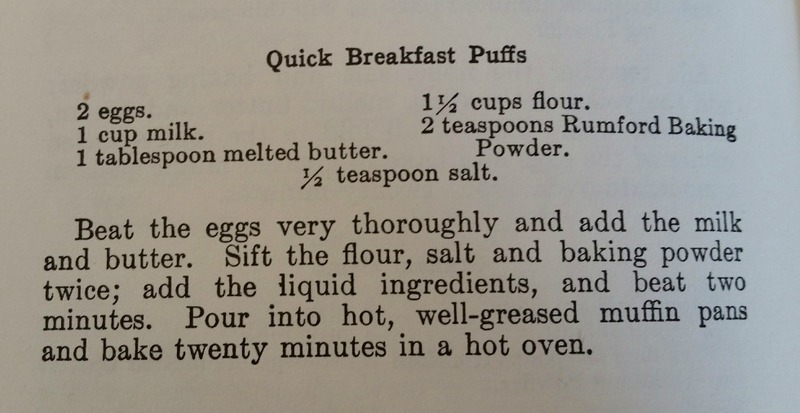 I was looking forward to looking the Rumford Complete Cook Book again this month to try another recipe. 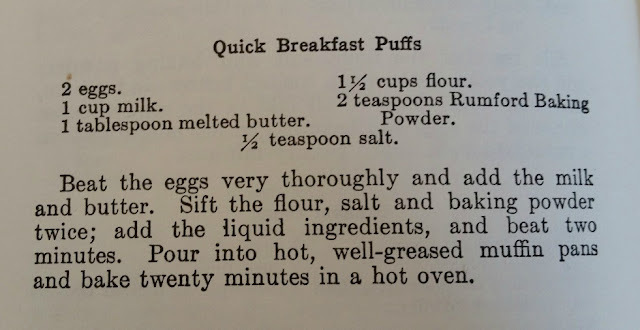 It is fun to read how the recipes are written from 1908. 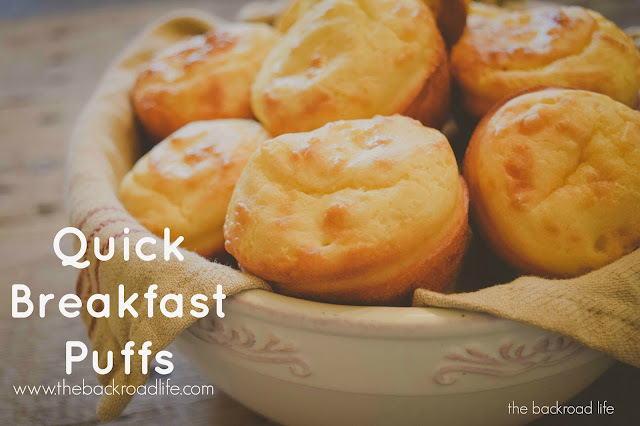 This time I picked the Quick Breakfast Puffs. 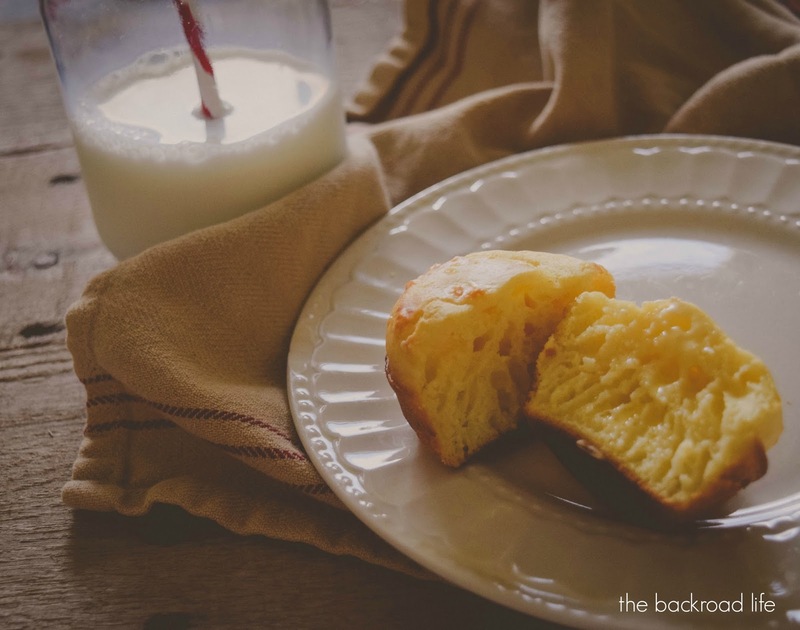 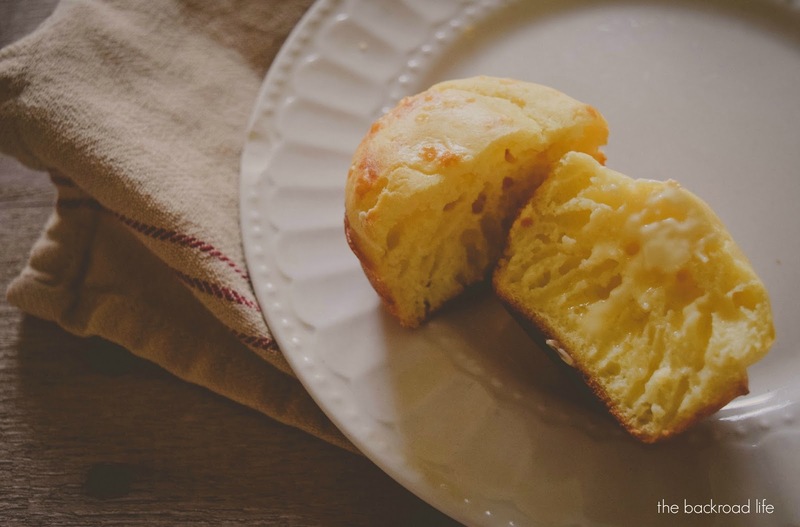 I always look for easy breakfast ideas for the kids, sometimes needing something that is "grab and go."